RWBY: Grimm Eclipse DLC Available October 18!!! Hello fellow Huntresses and Huntsmen! Gather around the campfire friends; we’re bringing the bacon back to Beacon and have got some exciting specifics to share about the new RWBY: Grimm Eclipse update and DLC! First, we want to thank you for waiting on these updates so patiently. To know people want to see and experience more RWBY: Grimm Eclipse content is incredibly exciting for us. Nothing feels better than being able to control your favorite characters and see them come to life by the power of your own fingertips, and taking on hordes of Grimm in beautifully animated combat sequences is the closest thing to being in the world of Remnant yourself. Speaking of Remnant, we’re opening up two more maps and opportunities to further explore the world of RWBY! We’re introducing Dr. Merlot’s Island and Dr. Merlot’s Laboratory as your new battlefield and proving grounds. Explore Beacon Academy’s titular adversary’s home base and take Grimm to task with your friends. This update is FREE to all players who own RWBY: Grimm Eclipse! If you were lucky enough to attend RTX or RTX London, you’ve probably seen the next new piece of DLC content we’re rolling out: new character cosmetic packs! Take your favorite member of team RWBY or JNPR out of bed for a midnight snack and slay some Grimm along the way in your nighties. We’re introducing the Pajama Party Pack for $1.99 for each team! If you’re looking for something a little more battle-ready, then why don’t you check out team RWBY and team JNR’s Timeskip Costume Packs, $1.99 and $1.50 respectively (Pyrrha: rest in peace.) Jump ahead after season 3, and take some fresh new threads with you. Enjoy 50% off RWBY: Grimm Eclipse and our Halloween Sale on Steam from October 18 - October 31! 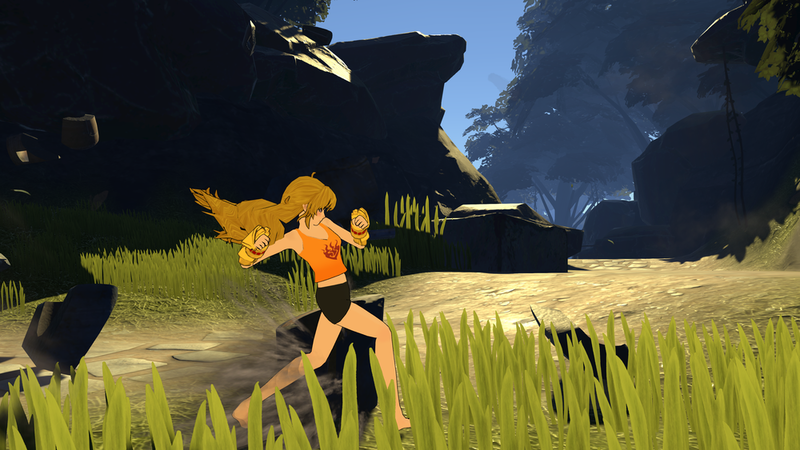 What a great way to introduce new friends to RWBY: Grimm Eclipse while you show off your new cosmetics! This exciting new DLC is ready for you October 18, 2018 on Steam and on console late 2018. We’ll have even more new content ready then, so stay tuned! Interested in more news and updates on what Rooster Teeth Games is working on? Follow us on Twitter and sign up for our newsletter! Happy hunting, and we’ll see you in Remnant! Don’t forget to catch the premiere of RWBY, season 6 with us October 27 on www.RoosterTeeth.com! 2004-2019 Rooster Teeth Productions, LLC. All Rights Reserved.